Reach out to 1000s of retailers and ecommerce companies every day! If every retailer and every ecommerce company is a potential target for your outbound sales campaign and all you need is a reliable way to scale your outreach to them, look no further. PipeCandy is best source of clean and accurate data on retailers and ecommerce companies. This is hyper-customized outbound lead generation powered by algorithms that you will experience nowhere else! Try PipeCandy for Outbound, right away! The best data source for retail & ecommerce leads. Period. How are we so sure? 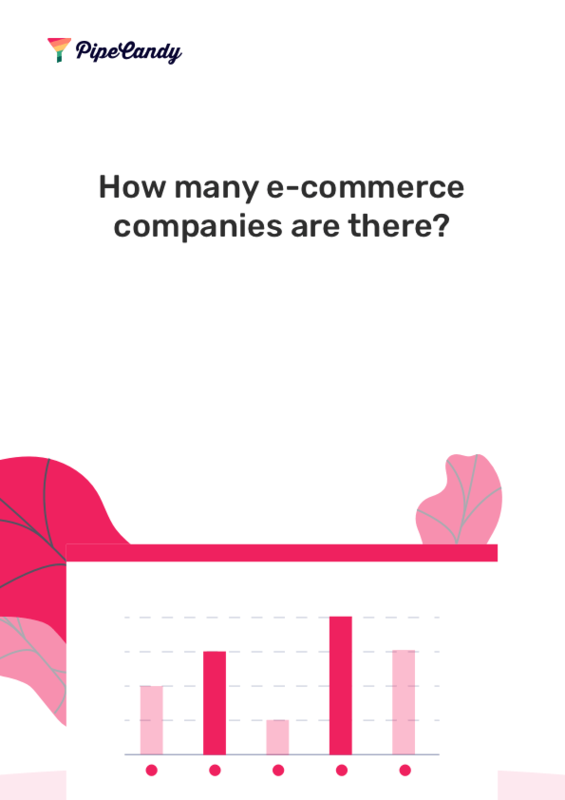 Alternatives like Datanyze, SimilarWeb or Wappalyzer track technologies used in a site and work backwards to tell you if they are an eCommerce site. That's inaccurate. PipeCandy's machine learning algorithms apply various techniques to figure out which is an eCommerce site and finds you contacts at a department level. Others like Zoominfo or InsideView track ecommerce as a sub-set of retail. They are not even an alternative when it comes to outbound sales targeted at small ecommerce companies! Our algorithms are busy building insights that help you differentiate between B2B & B2C ecommerce, Dropship & inventory led businesses, Premium & low value assortment sellers before you send an email through your outbound sales campaign. You can even discover who is using which carrier to ship and if they do cross-border commerce and if they are omni-channel. There is simply no other alternative source for such insights, let alone at a scale that we deliver them. PipeCandy continuously invests in understanding how companies sell to retail and ecommerce segments. Our customer success team goes beyond support and strategizes with you on campaign goals. New to outbound? We even write highly engaging email templates for each persona and customer profile that you plan to sell to. We bring data, insights and experience to the table – because, scale is not the only thing in outbound sales. Results matter. SDR managers & demand gen teams from the best companies are using PipeCandy. Find out why in 10 minutes.